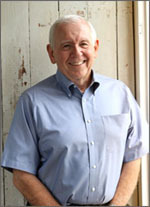 Victoria Physical Therapy, PC was founded by David W. Drost, PT in 1971. David was born and raised in McFadden, Texas and Victoria, Texas, graduated from St. Joseph High School and graduated from the University of Texas Medical Branch, Physical Therapy School, Galveston, Texas. David is now retired and remains active in the community. Victoria Physical Therapy, located in Victoria, TX, exists to provide comprehensive, evidence-based physical therapy services as a community-based out-patient, therapist-owned private practice to the people of Victoria and surrounding counties in Texas. Physical Therapy services are prescribed by providers such as doctors, nurse practitioners, physician assistants, chiropractors, podiatrist and dentists. At Victoria Physical Therapy our therapists work at one facility, full-time, so we can better serve our out-patient population. Our entire staff is committed to ensuring each patient receives their maximum benefit by providing a safe and friendly environment to encourage a speedy recovery.